I was barely 22 years of age when I met Bill. Bill was a leader on a board that I was privileged to serve alongside very early in my adult career and in the early days of developing my leadership skills. I was newly married and still finding my way in that area of my life as well. But we sat next to one another at many monthly board meetings and I watched him as he interacted with the pastor, the staff, and the other board members. He was a voice of incredible calm during some very interesting and active days. But our relationship extended beyond the board room. I owned a certified and bona fide “lemon” when it comes to automobiles. For any of you who also owned a Chevrolet Celebrity in the early 1980s, you know exactly what I mean. Bill owned a Firestone repair shop and I was a frequent customer. He cut me some incredible deals on auto repairs. He also took time with me every time I visited with him to speak truth into my life. And I watched how he operated on the board, how he interacted with his wife and daughter, and how he ran his business. I wanted to be like Bill. I met Dave on a Sunday shortly before Christmas in 1992. He was a Captain in the US Air Force and he had recently been stationed at Andrews Air Force Base near Washington, DC. He was married and had two kids that were almost the exact same age as my children. We became friends. Our wives became friends. And our children became friends. Those three sets of relationships remain strong and true today almost 25 years hence. Perhaps it was the similarity of our stations in life. Perhaps it was our passion for leadership. Perhaps it was just ordained that our paths would cross and our lives would be forever intertwined. But we began a relationship that has stood the test of time. We spent many long nights scheming and planning in my office. We were looking for ways to make an organization that we both dearly loved become more effective. And you know what? We did! And some of that work that we accomplished back in the mid-1990s has formed the foundation of much of my leadership writings and consulting over the subsequent 20 years. I met mark through some social and educational activities when our children were in their teen years. Our paths crossed first at a basketball game and began to cross more frequently that basketball season and the subsequent baseball season. He was (is) a baseball dad. He loves the game and he loves what it has done for his boys. I once asked him to explain the game of baseball to me. In retrospect, that may have been a mistake! Like Dave’s scenario, our wives became great friends as well. And we have spent many a night at their house talking, eating, laughing, crying, and playing games at the dining room table. Mark has been a great sounding board for me to unload many things that have been heavy on my heart and on my mind. He was one of the few that stood beside me as I walked some very lonely roads. His friendship has never wavered and he has been an example of steadfastness when many others distanced themselves from us. Our lives and careers have been very different. But, when he speaks, I listen. I have known Jim the least amount of time among the other guys on my Mount Rushmore. But, time is not an indicator of value, significance or impact. Jim has had an incredible impact on my life. I met him through the school that some of my grandchildren were attending. The very first time I saw him address a crowd, I turned to my wife and said, “I need to meet this guy.” He had presence. He had gravitas. He had charisma. And I just had to meet him. So I did. I introduced myself to Jim following that event and told him what I thought about his stage presence. I was not surprised once he shared a little bit about his background. He was a teacher, a former NFL coach, a college baseball coach, a professional speaker, and he had a passion for leadership. Prior to that day, I had not met someone with the package of skills and abilities that Jim had. And he still has them! I don’t think I have met anyone since that time that has that high-degree and combination of leadership skills. We spent many sessions in his office over that academic year. He encouraged me in my writing. He critiqued my ideas. And he brainstormed strategies for reaching a generation with the message that they can become the leader that they need to be in every walk of life. Are there more than 4? Oh, you better believe it. There is Dan from work who was a peer interview when we first moved to Houston almost 20 years ago. There is Gary from my church who was one of the few who has been willing to stand by me when the days were dark. There is Rodney who pastors a non-denominational church in the area and has provided incredible encouragement and insight into being a leadership consultant. There is Jeff who was a global account manager for an IT company that I met more than 15 years ago. There is another David who has probably had more pointed and targeted advice for me in certain areas than anyone else. 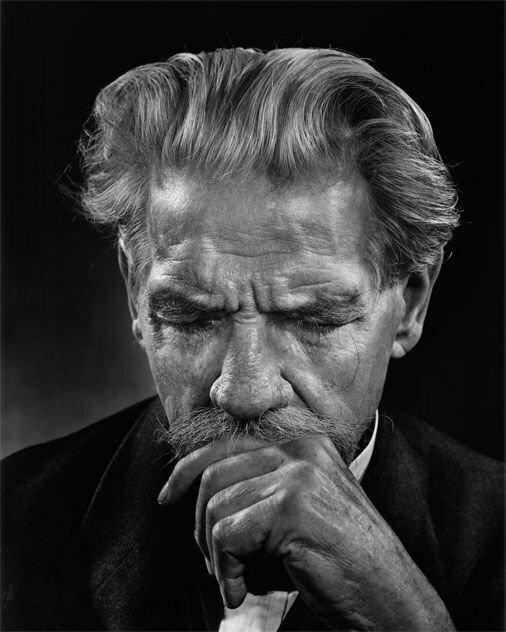 His background in some aspects of publishing led me to my current (and only) publisher. Which turned into a book contract and is producing a new book in just a few more months. There is Glenn who I went to college with in the late 70s and early 80s. We reconnected recently around the topics of leadership, entrepreneurship, and a mutual passion for developing leadership skills in others. And there are many more as well. I can’t name them all. So, what is my point? It is this. 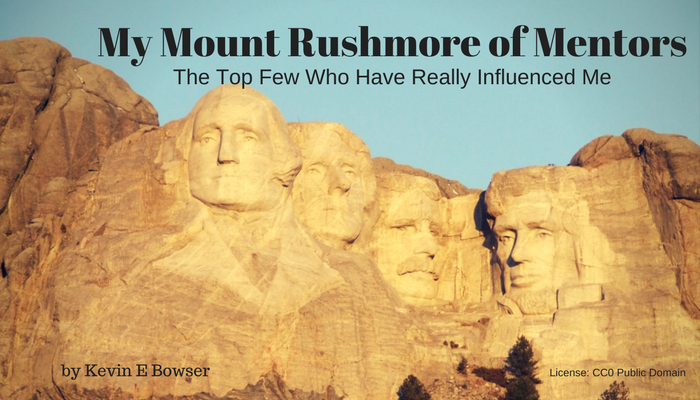 Who is on your personal Mount Rushmore that has had a profound influence on your life. You have seen a very brief description of my 4 heads that are carved into the Mount Rushmore in my mind. Who is on YOUR personal Mount Rushmore? Who has had a deep and abiding influence on your life? Can you name a few in the blink of an eye? If not, why not? Have you not availed yourself of folks like Bill, Dave, Mark, and Jim? They are out there. But you need to reach out to them and invite them into your life. I was very young when I met Bill. I knew that there was a lot that I didn’t know. And I needed to find some guys who did know. Bill was the first of many down through the years that have spoken truth into my life. You need a Mount Rushmore. And you need to go find the kinds of guys that can some day be there on your mountainside. I can help you. I can help you identify them and develop the courage and the message to reach out to them. Just ask me and I will be happy to help. Click the button below and reach out to me via email. Let’s work together to help you carve your own Mount Rushmore.